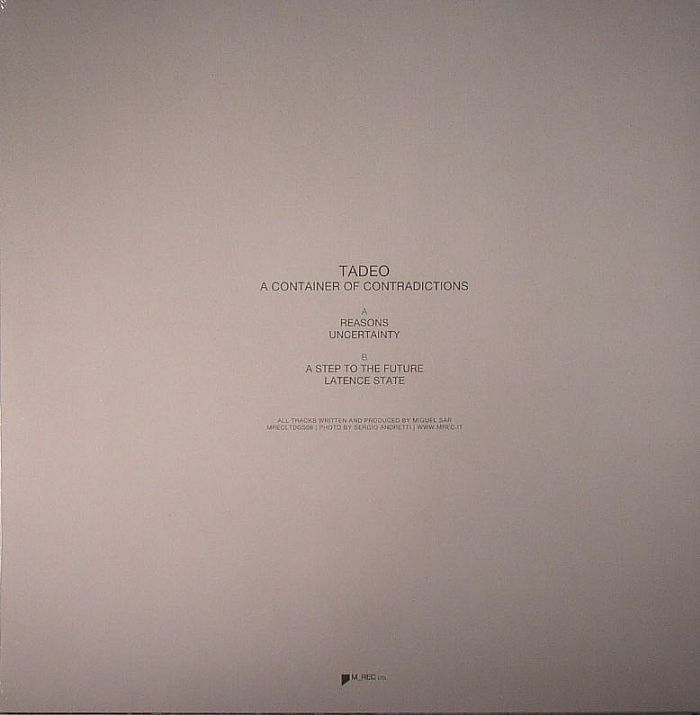 TADEO A Container Of Contradictions vinyl at Juno Records. 1. 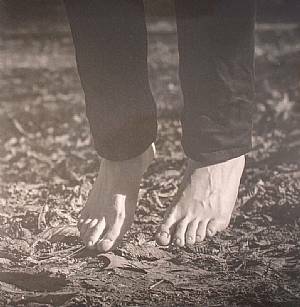 "A Step to The Future"
Tadeo stands next to Oscar Mulero as one of Spain's biggest pillars of techno and his first release for 2014 comes through M_Rec's Grey Series sub-label. Tadeo delivers more twinkling, deep and dubby electronics and opens the EP with "Reasons" that sounds like it could soundtrack a space-themed Jeff Mills movie. "Uncertainty" maintains this theme with added beats and bleeps, while the B-side delves deeper again, although this time it's with less lead-synths, and more drums and reverberating blips. "Latence State" is cosmic techno at its finest and not only has Tadeo got the Jeff Mills technique down, he's also capable of injecting a narrative into spacey dancefloor designs that draw semblance to the Something In The Sky series.